I was looking at a protecting case for my iPad with Retina Display (4th gen), I’ve been testing the Self Standing Black iPad 4 Case from EZ Buys Direct. The case is designed like Apple’s Smart Case series. The case is easy to install on your iPad and is also compatible with the iPad 2 and the iPad 3 (aka the New iPad). 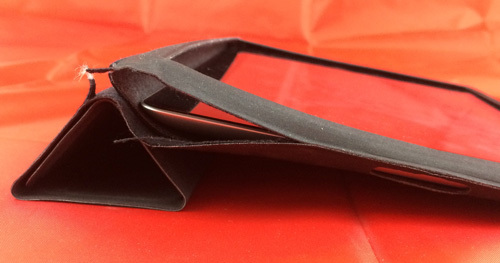 You slide your iPad into the pocket and flip the tab on its back to secure it inside the case. The case has holes where it is necessary to access buttons and ports on the iPad. But overall I find it unsatisfactory. The first thing that disappointed me with the case was the texture of the material. It feels rugged and is uncomfortable on the hands. I got used to it, but it is far from the slick surface of Apple’s Smart Cover or Smart Case. The cover that protects the screen has the same functionalities as Apple’s Smart Case: magnet to shut the iPad, and a four segment design permits you to raise your iPad from the table, or be used as a vertical stand. The first disappointment here came from the fact that the magnet is not placed on the cover in a way that it makes contact with the iPad shutdown function. I’ve tried everything I can think of, and it never worked. Using the case to raise the iPad from the table to type on it works fine, but putting it vertically made the device very unstable. The case does not clip onto the iPad; it simply slides into the case. Over time, using the iPad in the case makes it move just enough so the holes for the buttons and connectors slide away from them. In many situations I had to readjust my iPad in the case to reach the buttons or recharge it. Not to mention that after only a few weeks of usage, one of the seams has started to disband. 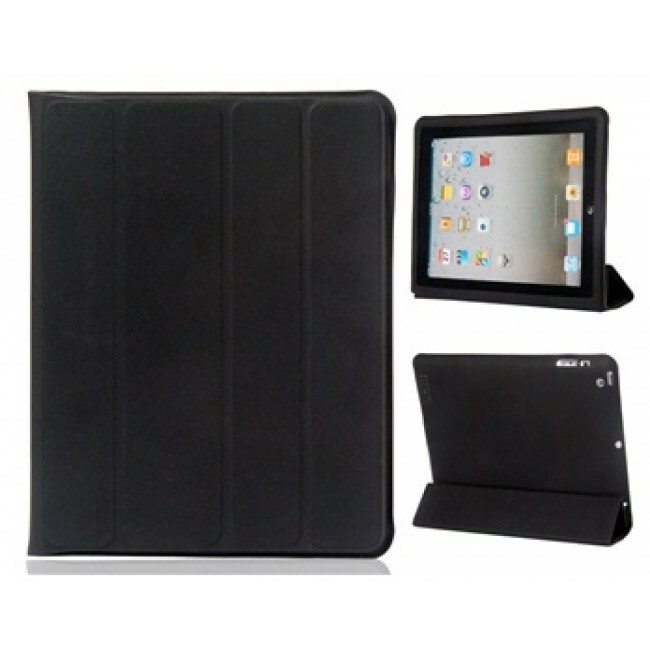 The case is very affordable and will protect your iPad adequately. But I strongly suggest you look for a better alternative and place your well earned money elsewhere.